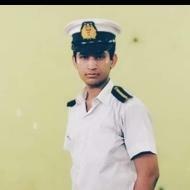 I am currently pursuing Bachelor Of Technology in "Marine Engineering" from Directorate of Marine Engineering Training. I have got practical knowledge regarding training and proper grooming of Students. I have been providing tuitions for the past 3 years to both strong as well as weak students. Be rest assured your ward will be in good hands and will be properly set up to complete his/her curriculum before exams start knocking on the door. "Awesome boy with lots of experience in teaching. Very intelligent and a genius, teaches in a student friendly manner. " "Rishav sir is an excellent teacher. He is very knowledgeable and very polite to students. He can observe his students very well and guide them accordingly. He is also quite punctual and he himself is very particular about practicing moral values. He is a real inspiration to all his students. " "Sir is very polite. He gives individual attention to all his students. The approach he has towards the subjects is unique and interesting. Science has always been my weak area, but now it feels that I am at par with my peer group. " "Rishav sir has got really good and modern teaching techniques. I was quite benefitted in my exam time because of me. I'd give my personal recommendations for him. " Rishav Roy conducts classes in Class 6 Tuition and Class I-V Tuition. Rishav is located in Taratala Road, Kolkata. Rishav takes at students Home and Regular Classes- at his Home. He has 3 years of teaching experience . Rishav is pursuing Bachelor of Technology (B.Tech.) from Directorate of Marine Engineering Training. He is well versed in Bengali, Hindi and English. Rishav has got 4 reviews till now with 100% positive feedback.